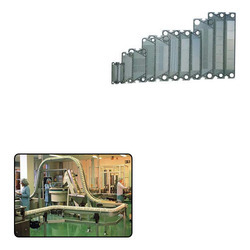 Our range of products include phe gasket for pharmaceutical industry. We are the specialized manufacturer, exporter and supplier of PHE Gasket for Pharmaceutical Industry. We are using all types of polymer such as Viton Rubber, Silicon, Neoprene, E.P.D.M, NBR, HNBR. Apart from this, our entire range is stringently tested by our team of experts on various quality parameters to confirm the product range with the international standards. Looking for PHE Gasket for Pharmaceutical Industry ?